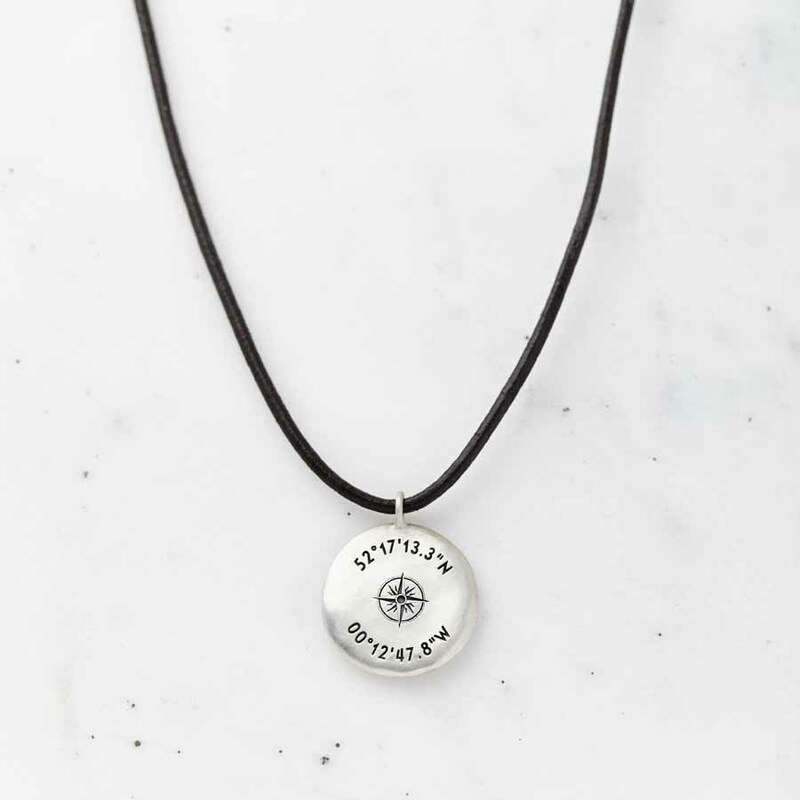 A sterling silver necklace etched with coordinates of your special chosen location and a central compass design on an adjustable length leather cord. 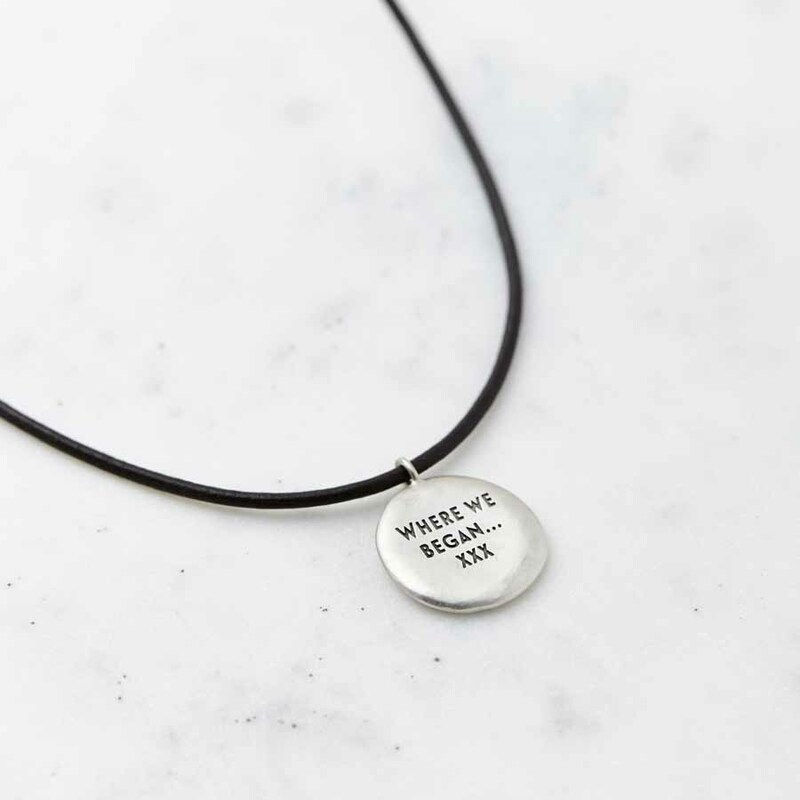 A hidden message can also be engraved on the reverse of the necklace – something between just you and the wearer. This could be a special date, or a message from you to them. Please be as specific as possible when entering the location. For accurate coordinates, please enter the place name, address and postcode. 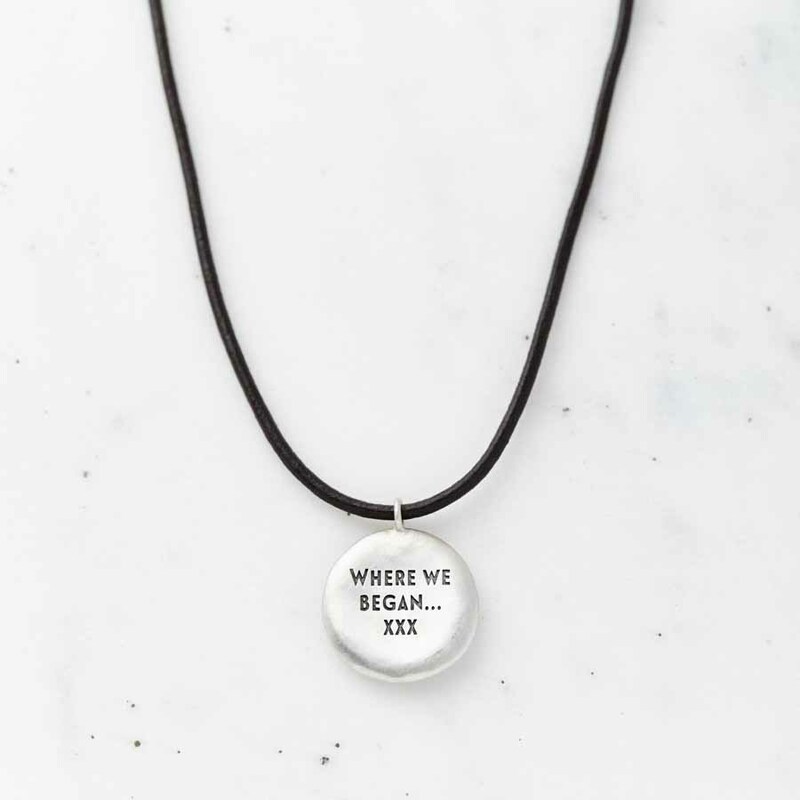 We will send you the coordinates once your order is accepted and you can check these. 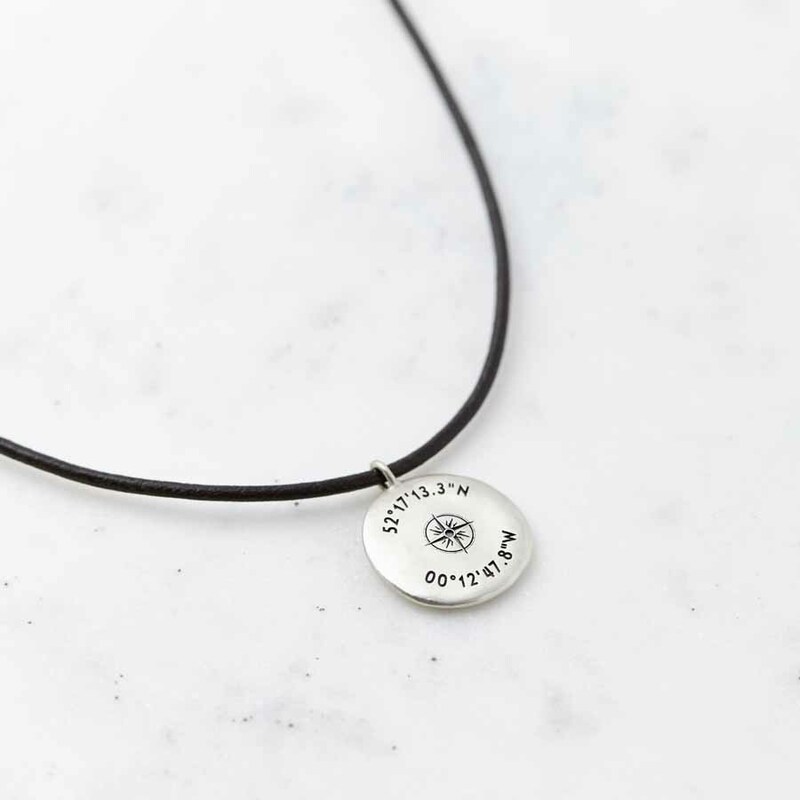 Please note: we may ask you to check the coordinates before we start making the pendant – please respond as soon as possible to prevent a delay in the dispatch of your order. The pendant has a brushed silver finish. The pendant measures approximately 1.9cm.